What makes Bali a world-class Wedding Destination? 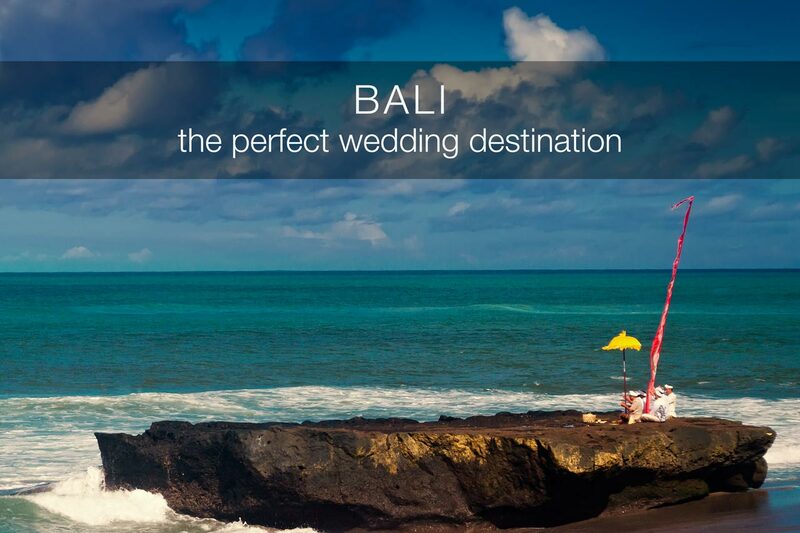 Bali is considered one of the top wedding destinations in the world. The island may just be a dot on the map, but its size is not to be underestimated. Many couples from various parts of the globe dream of saying their vows and sealing their union in this magical place. So what makes Bali stand out? 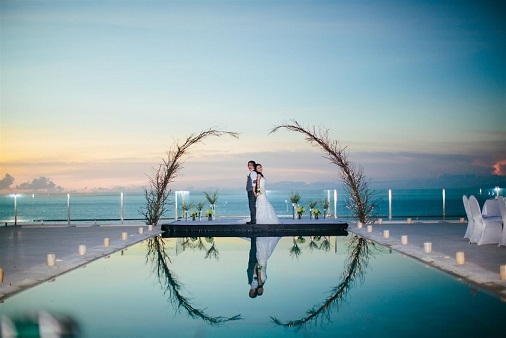 We share some of the best reasons why Bali is perfect for your destination wedding. Bali is blessed with majestic landscapes and breathtaking views earning it the nickname Land of the Gods. These wonderful sceneries all over the island make for a magical backdrop for special occasions like weddings. 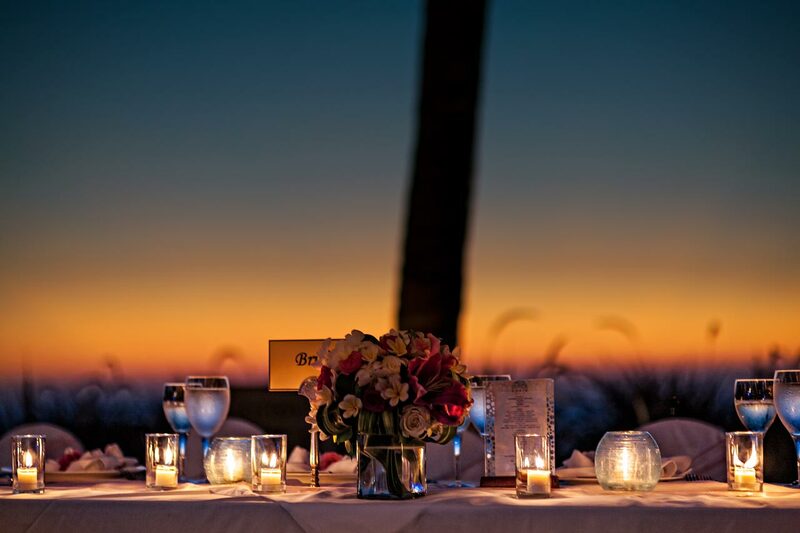 Imagine your special day set in front of a picturesque background – a long stretch of sand, a temple or the sunset. Now that will make the occasion truly one for the books. In addition to its stunning views, Bali is also dotted with numerous hotels and resorts. With hundreds of thousands of tourists coming to the island each year, the rise of premier accommodations was inevitable. These world-class establishments make great wedding venues that can provide room for wedding parties. Villa Anugrah’s main pool with a fantastic view of the Indian Ocean. Apart from the usual hotels, Bali has some of the finest villas in the region. These beautiful villas not only make elegant wedding venues, but they can also provide premium accommodation for couples and their guests. Indeed, villa weddings offer a number advantages. Perhaps the best thing about Bali wedding villas is that they are some of the least expensive in the world. 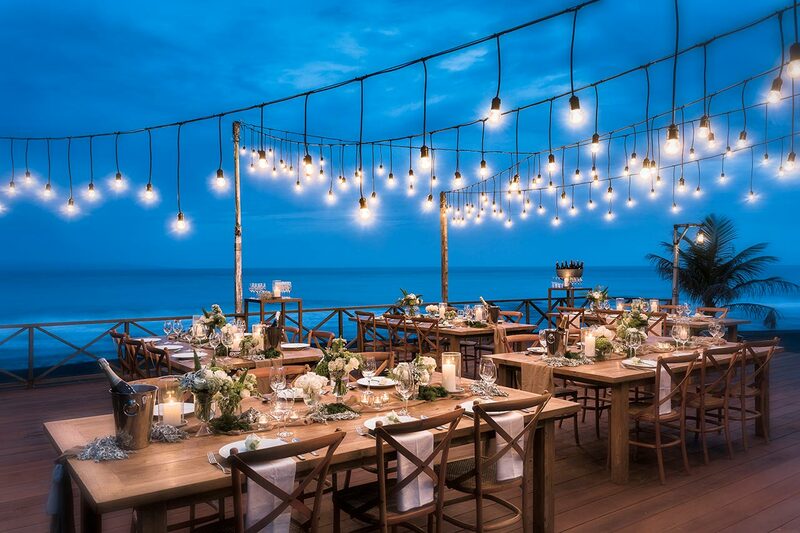 Weddings are meant to be one of a kind, and one way you can make it truly unique to you is to choose the perfect location. And Bali can give you just that. This tropical island may be small, but it has numerous wedding locations that are unique in their own ways. There is probably nowhere else in the world with such diversity when it comes to wedding spaces. Planning a wedding can be such a tedious job. It can be even more challenging when you’re in another country. Most of the time, soon-to-wed couples opt to hire professionals to handle the event planning and ensure it’s a successful one. Fortunately, there is no shortage of wedding planners in Bali. You can also find many talented wedding photographers in the island. 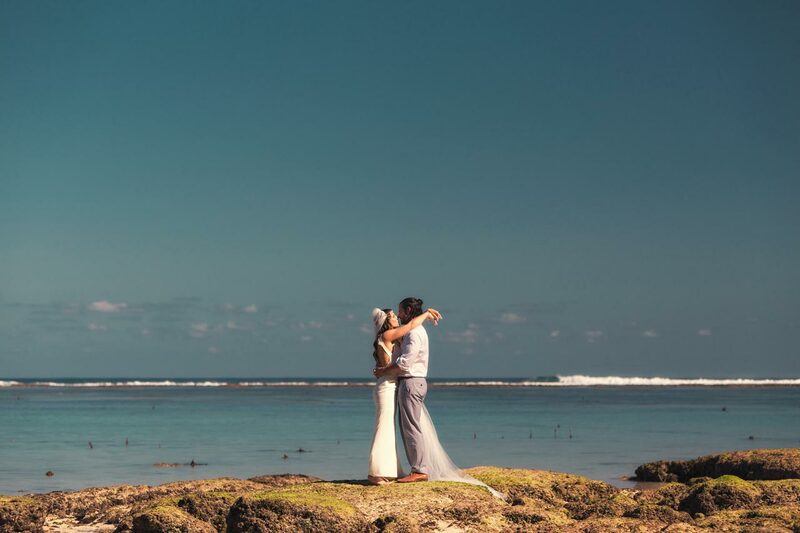 Choosing Bali as your wedding destination is a decision you won’t regret. For one, your guests won’t be coming just for the wedding but their trip can also double as a vacation. With its rich culture, Bali has a showcase of colorful festivals and tourists sites. There are also tons of activities to do such as hiking, diving, snorkeling and surfing. You can explore the place to learn more about the vibrant Balinese culture. Of course, your guests won’t be the only ones enjoying their stay. Bali is a prime honeymoon destination which means you don’t have to fly somewhere else after your wedding. Instead, you can stay longer and enjoy some quality time together. The two of you can frolic at one of the beaches in the area, check out some of the best places, enjoy Balinese cuisine or go on an outdoor adventure. Another factor that makes Bali a top destination not only for weddings but also for vacations is its easy access. The island has connections to several major international airports. This makes it easier for your guests coming from different parts of the world to come and attend your wedding. Moreover, there are no lengthy visa applications for those who plan to visit. You can apply for a tourist visa or get a visa on arrival. Weather is one of the considerations when planning a wedding especially if it’s an outdoor event. 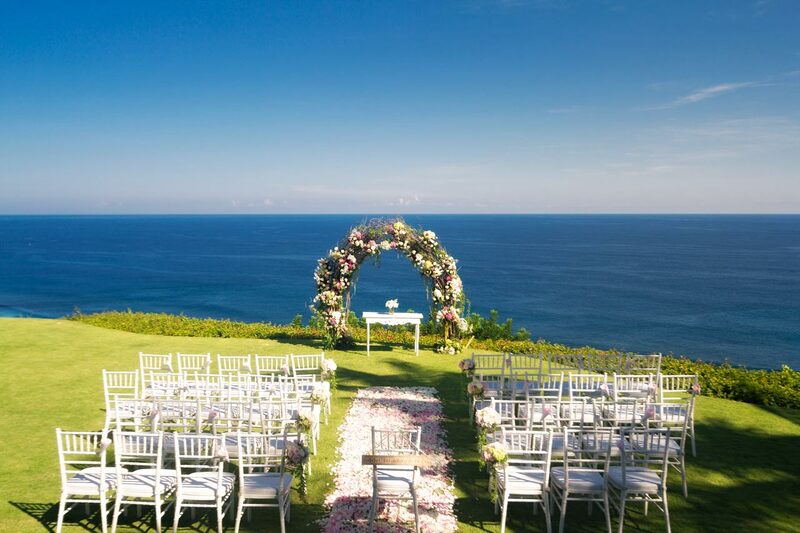 With its tropical location, Bali has fair weather most of the year making it ideal for weddings. Although the best time for an outdoor wedding is during the dry season, it can still be pretty dry during the rainy season. What you need to do is to stay updated with the weather forecast. Trisna Suanda is the current villa manager of Villa Anugrah. She manages the accounting, sales, marketing, human resources and the operational side of the villa. Trisna likes to travel and is always on the lookout for new and challenging things. Looking at the place, it is not that big unlike the other places there you can find it an ideal destination for any occasion. With the most luxurious accommodation, breathtaking scenery, and incredible cliff estates, you have an amazing choice when it comes to picking that dream destination. That is why Bali considered as the top wedding destination in the world.